This is a brief account of our collaborative, exploratory research workshop held on March 26th 2019. For further details, please contact Dr Lyn Robinson or Dr Joseph Dunne-Howrie. 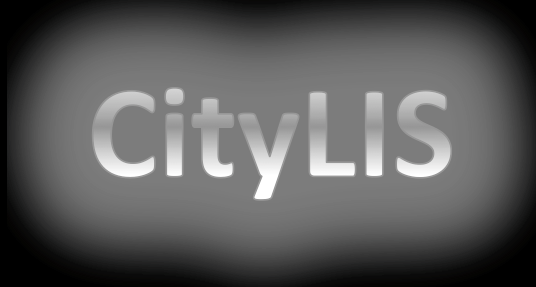 CityLIS has a longstanding interest in the nature of documents, document theory and the processes of documentation. We understand a document to be something that stands as ‘evidence’, and follow a broad interpretation of those entities that may be classed as documents, including data sets, works of art and performance. We have a current focus on novel forms of document, which are afforded by new technologies. These technologies, including multimedia, pervasive networks, multisensory transmission (taste, smell, touch), VR and AR, facilitate documents with which we can interact and participate to a greater or lesser extent, and which also promote the experience of immersion, so that a scripted unreality may be perceived as something approaching reality. In many cases, these documents have a temporal component, in that they are experienced at a particular moment in time. Additionally, at any given time, they may be experienced by multiple participants or members of the audience. Examples include born-digital documents such as video games, interactive fictions or narrative, immersive artworks, and theatre and dance performances produced in VR. Further, such technologies might also be used to recreate (document), and thus preserve, non-digital documents with a temporal aspect, such as performance. Whilst the technologies used to create these new forms of document can also be used to preserve them for future access, it is important to note the difference between digitization as a process, and as a technique for preservation. Digital preservation is responsible for preserving digitization. In order to document and preserve these novel document formats, we need to understand their nature, or documentality. This one-day workshop brought artists and engineers together with library and information specialists, to explore how immersive, participatory, performance related works could be understood, and thus documented. We took as our example, the immersive and interactive installation Sensuous Geographies created in 2003 by Professor Sarah Rubidge in collaboration with Professor Alistair Macdonald. This choreosonic installation, although no longer extant, has been documented by texts, photographs, sound and video recordings. Several physical components remain, including the costumes and the materials used to create the flooring. We would like to move beyond these forms of documentary evidence (themselves documents), to recreate a version of the original piece in VR. The original installation offers a range of multisensory aspects for documentalists to consider; not only how to recreate audio and visual aspects of the installation in VR, but how to include the elements of presence (participation) and immersion (a feeling of reality). Our workshop, hosted by myself and Joseph Dunne-Howrie, began with a presentation from Sarah, which set out the nature of the installation, highlighting the features we would need to recreate in order to fully document this unique work, so that it could be made available to new audiences, or indeed again to those who interacted with the installation in 2003/4, in as close to the original format as possible. We then heard brief presentations from each or our workshop members, on their areas of expertise, followed by informal group discussion around documentation of a multisensory, interactive, immersive, time-based installation. As a starting point, we considered whether existing conceptual models for describing documentary works, including FRBR (IFLA LRM), and any metadata standards associated with artefacts or performance, offered existing work on which we could build. No model for works similar to Sensuous Geographies was known to the group, although this remains an area for further exploration. We talked about the nature of the surrogate document, or simulacrum, and acknowledged that our recreation of the installation in VR, if successful, would be a new document, irrespective of how close to creating a work with the feeling of the original experience we came. The discussions were engaging and constructive. We need now to describe in more detail each ‘layer’ of Sensuous Geographies, and to further explore the technologies available to render the work in as realistic a format as possible. Our aim is to produce a specification for a project to render the work in VR, and we would welcome any thoughts as to how this could be achieved. This project offers a case study of documentation, digitization, and subsequent preservation of a multisensory, interactive and immersive choreosonic installation. We believe this to be a novel undertaking, and one which will be of interest to artists and creators of such works, to library and information professionals, to archivists, scholars, engineers and those interested in cultural heritage. Main content on "DocumentingPerformance" is ©️ Lyn Robinson, and is licensed under a Creative Commons Attribution 4.0 International License. Third party blog posts, embedded, linked to, or referenced content, are copyright of the original authors.